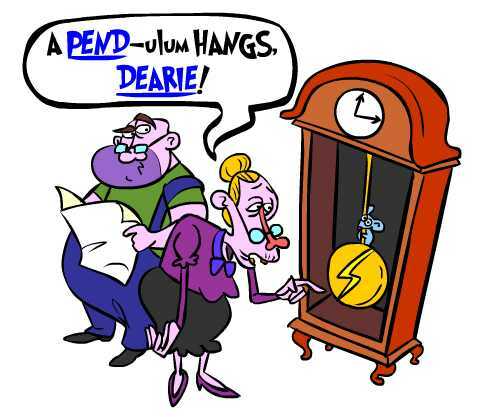 The Italian verb for hang is the irregular -ERE verb appendere. ... imagine A PENDulum hangs, DEARIE! Appendere can also mean: to hang up, to suspend, to pin up, to dangle. - l'attaccapanni (nm) : (coat)hanger, coat rack, hall stand. - l'appendiabiti (nf) : clothes hanger. - l'appendino (nm) : hook. But: impiccarsi (vr) : to hang (oneself). Imagine a PENDulum hangs, DEARIE! non appendere (non) appenda! (non) appendiamo! (non) appendete! (non) appendano! ✔ Appendere is an irregular -ERE verb. ✔ Learn appendere and it will reinforce the pattern for other -ERE verbs with the same irregular pattern. ✔ You can more easily remember words and verbs like the Italian for hang - appendere using the techniques of the world's Memory Masters. 200 Words a Day! Free Daily Italian Lesson Online - the verb in Italian for hang is appendere - fully conjugated. Italian Learning Made Fun and Fast with your free Daily Italian Verb Lesson - appendere.